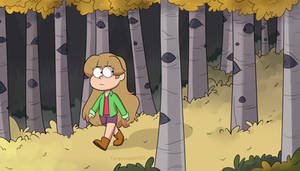 That reminds me... *le inhale* I WANT MORE GRAVITY FALLS WHO AGREES??!! I really like how you've designed them! Awesome drawing of Mabel and Dipper celebrating their 19th birthday. My Favourite cartoons twins are 19 years old! They're about to be 20 this year. I'm going to turn 17 this year....Just two more years left!! I can't believe they've grown up so fast. Is it actually canon that they've turned 19 years old today? Happy Birthday to the Mystery twins!!! When sis Mabel stop wearing sweaters??? Follow up question WHY ISNT SHE WEARING ONE NOW !?!?! Two more years and you get a toast! Wow they grow so fast, just that they were just kids! Wow crecen tan rápido, apenas eran solo niños! Happy 19th birthday to the Pines kids! OMG! This is perfect! Happy birthday to the best twins ever! Nice job btw, it looks adorable. Time Files. This is also the day my Parents were Married.